Experiencing the atmosphere within Google's walls-very Googley indeed! The All-Star panel was personally my favorite part of the presentation. Our three panelists were Tim Smith, VP of Technology at Imagination Publishing, Joel Hughes, SVP eMedia and IT at Scranton Gillette Communications, and last but not least, Justin Gale, Lead Architect at Bombardier Recreational Products & Blogger. 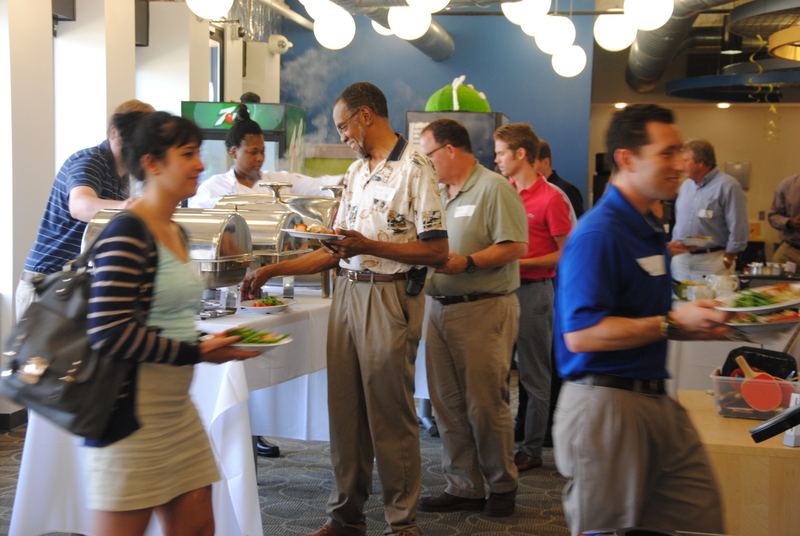 Our guests enjoyed hearing how current customers use Google Apps to their benefit. Great questions were asked from the audience and we also had a proud winner of the Google Nexus 7 Tablet! Don't miss out again on the fun! Click the button below to be notified about upcoming events.